(#101) Lisa: Happy Dad-ish Day! We didn't mean any harm, we just had a very limited worldview, as kids tend to do. 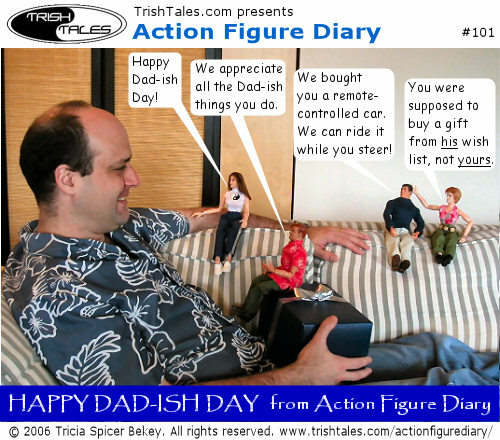 Since that seems to be a fairly common experience, I thought it would be fun to give it the Action Figure Diary treatment. Ah, but Dads are grateful to just be remembered!